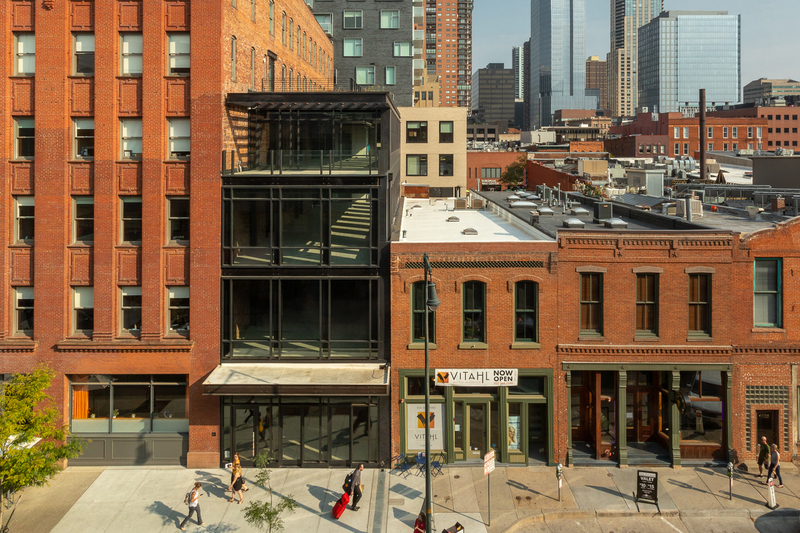 Unlike any other project in downtown Denver, SugarSquare manages to achieve big design in an extremely narrow urban space – just 25 feet in width. 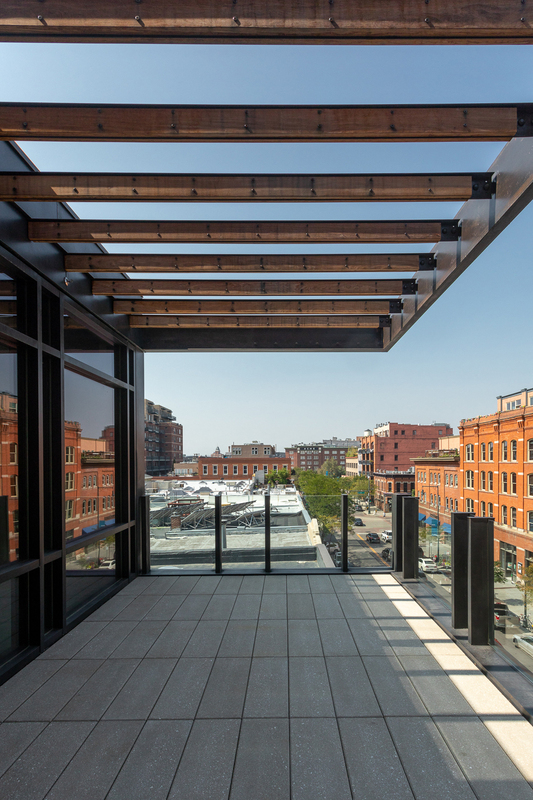 Designed by architecture firm Semple Brown Design, SugarSquare was conceived as an addition to the Sugar Building. 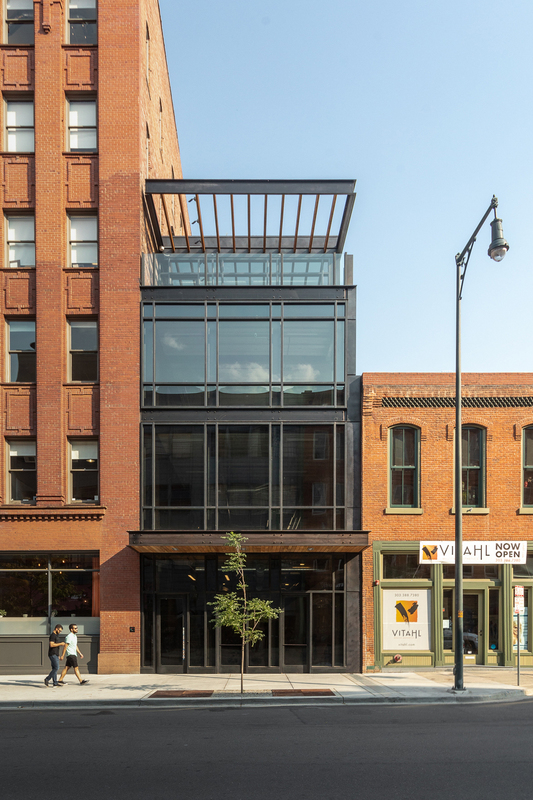 Constructing the 11,400 square foot building between the 100-year-old Sugar Building and the Spice Building created a complex set of challenges. Substantial time was initially spent assessing the site to determine the best approach for bringing the architect’s design into reality. the safest job site possible. Space constraints meant Jordy had to take the unusual approach of building the structure from back to front, instead of bottom up and was driven by crane position and reach capability. The back wall and alley walls went up first, and then worked our way out toward the street. 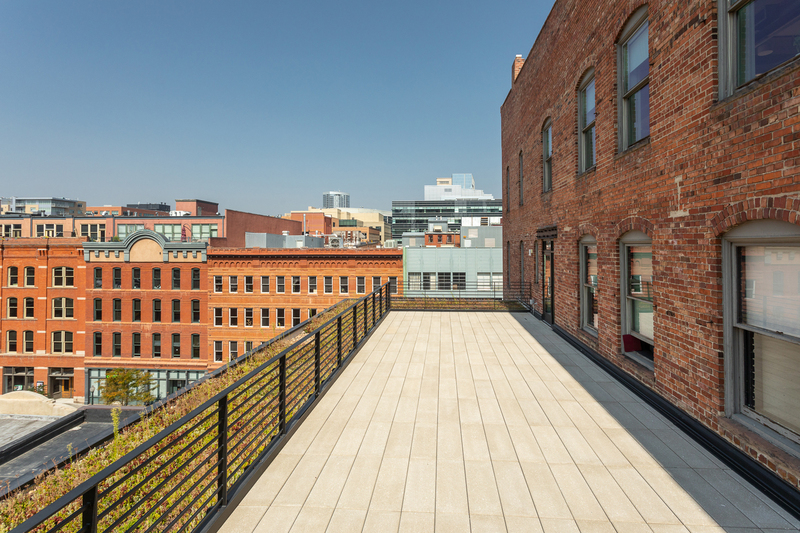 The approach necessitated creative bracing and design solutions to ensure the partial floors would hold up while construction took place on the other pieces. Despite all the challenges on this unique project, actual ground-up steel and concrete erection was completed successfully and entirely without injury in just 30 working days.